This is a second chance at romance book. What sets this book apart from the norm is the circumstances that led Rebel to leave the island of Angel Fire Falls. Aside from being from the wrong side of the tracks, Rebel had to deal with her mother's alcoholism as well. Rebel found sanctuary in the arms of Elliot Remington as well as love. When her mother's situation grew dire, she knew that in order to keep Elliot from drowning in her problems, she would have to leave the island. Elliot never forgave Rebel for leaving the way she did, and even looked for her for a while. He threw himself into making lots of money in the financial investments arena and never looked back. Until his family called him home to help turn their family's resort around. Chomping at the bit, he's ready to return to San Francisco and his life, but knows he can't until he can repay his family for all that he took from them. Now that Rebel is back, both Elliot and Rebel must come to terms with their past, this mistakes and their future. I enjoyed this book and can't wait for the next book in the series. This is the second book in the series, and I would definitely recommend that you read them in order. That said, this is a really strong story in its own right and could be enjoyed as a standalone – I think you would miss some of the references, but could always go back, if you really want to start here! This is the ultimate second chance kind of romance, and one with lots of difficult truths that need to be faced, although really nothing to do with the love that still lives in both of them. Both Rebel and Elliot have a long way to travel to clear their conscience and allow themselves a second chance, and Shelly Alexander does an amazing job of leading them to wonderful and believable happily ever after. The inclusion of dogs and their sensitivities and skills is inspired in this book, and as we hear how Rem (Rebel's dog) moves between Rebel and Elliot and we get to learn why, it tells us all we need to know about these two lost lovers. It also makes the solution to the family dynamics all the sweeter at the end. We also get to catch up with the rest of the Remington clan that we met in book one and Ben's progress is a pleasure to see, as his relationship with his duck! Add in the donuts and coffee, which left me wishing I were there just for them, and this is a truly lovely read. For reviews & more info, check out our Dare Me Once post. Shelly Alexander’s first published novel was a 2014 Golden Heart finalist. She is an Amazon #1 bestselling author in numerous categories, including contemporary romance, contemporary women’s fiction, and romantic comedy. Shelly grew up traveling the world, earned a bachelor’s degree in marketing, and worked in business for twenty-five years. With four older brothers and three sons of her own, she decided to escape her male-dominated world by reading romance novels... and has been hooked ever since. Now, Shelly spends her days writing novels that are sometimes sweet, sometimes sizzling, and always sassy. She lives in the beautiful Southwest with her husband and toy poodle named Mozart. 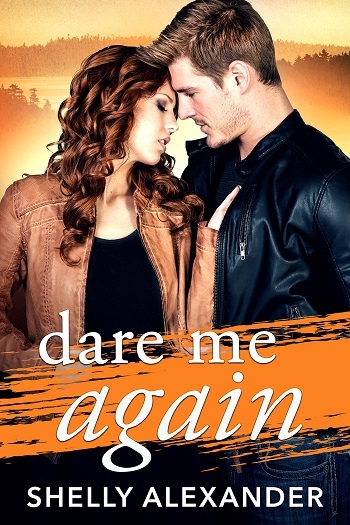 Reviewers on the Wicked Reads Review Team were provided a free copy of Dare Me Again (Angel Fire Falls #2) by Shelly Alexander to read and review.